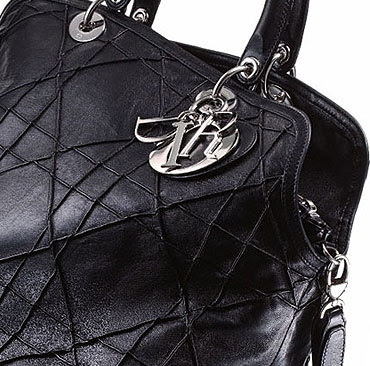 Fashionistas Daily .Com: Dior Granville Satchel Tote Is a Must Have Bag ! I've always love Christian Dior's fashion, and their accessories are just fabulous! They are must have for all the fashonistas! 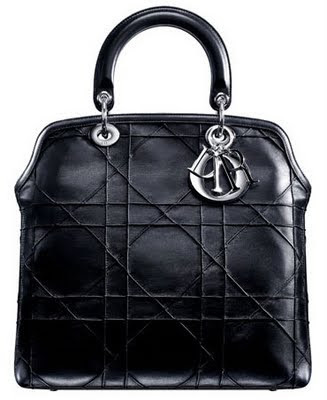 Today when I browse the Dior official site, I found the newly released Dior Granville Collection & there comes a Dior bag that I just need to have it! You must be wondering why this bag is named "Granville"? well, Monsieur Christian Dior was born in Granville, Normandy. I find the hand stitching of the "cannage" detail so beautiful! because they are slightly irregular and they're 3 dementional. The detail is achieve through pin tucking the leather so it is actually a part of the bag rather than applied, so the intersections of the lines are a bit off. You would think this is a flaw but it is done so well that it is just a perfect example of DIOR's superior quality and worksmanship. Of course, silver-tone hardware completes its luxurious totality, which you can find on the loops and on the hanging DIOR charms. It has a zip along the top, and the hour-glass shape can actually be folded over, just like on other convertible bags we have these days. 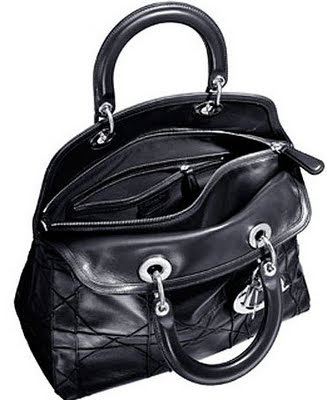 This gives you an option of whether carrying it as a handbag through its top handles with rings or as a shoulder bag through its detachable strap. What I love the most is the multi compartments inside of the bag! The interior of the bag was divided into 3 large compartments by the big fully top sip center divider pocket compartment. so you can fit all of your stuff in and still looking stylish & fabulous! We hope you enjoy the review of this fabulous DIOR Granville satchel/tote bag, and if you like the bag, we've just received the size Medium Granville directly from DIOR and now available at our very own online store Luxe-Gifts.com ! come check out the bag, it will be the best investment purse you'll ever get! Untill next time, be well and look fabulous ! I love how extensive your reviews are...great blog!